One other career possibility that I can think of to add to my list in No Way Out, is compliance. Of all the potential corruption, reciprocal trading, kickbacks, and policy & regulation violations that I have been talking about these days, procurement professionals also need watchdogs to ensure we are conducting our business ethically. Yes there are also internal and external auditors, but they usually focus on internal company policy adherence. Compliance however, covers a much broader perspective, in my opinion. The first generation of compliance covers all government policies’ compliance that the company needs to operate within. What’s legal in the States is not necessarily legal here, and compliance needs to ensure they are well versed of the latest policies and regulations in order to draft and enforce local company policies for all users to follow. Procurement also needs to ensure we help advise our users what not to do, and very often we discuss with our suppliers to make sure no one is breaking the law. Not long afterwards there are different streams of compliance being developed. Related to my profession, I increasingly see new posts named supply chain compliance and vendor management compliance popping up everywhere, particularly in financial institutions. These posts require thorough analysis of the company’s vendor base, identify high risk relationships, determine remedies, and enforce remediation plans. Candidates of these positions preferably should have a procurement background to add to his or her credibility. Shortcomings do not only come from the vendors, but very often the users and procurement professionals ourselves. Without the needed technical and process expertise, compliance will find its job much harder to do, and results far from substantial. 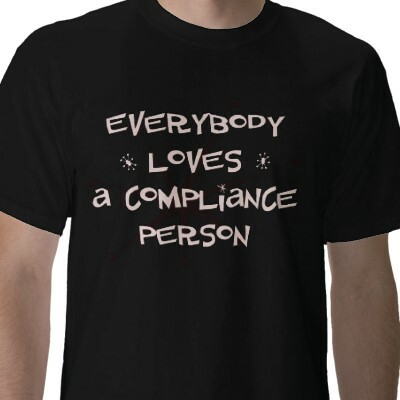 Compliance is generally hated and made fun of by everyone in the company. What’s better to have procurement people assume the role when they already are so used to the same love-hate reputation all along? I know this probably doesn’t sound like the most interesting job in the world, but what really is?